There is a fundamentalist anxiety that I hold in great sympathy. My sympathy is driven by the fact that I lived for many years under the burden of that very anxiety. It is the hidden fear that possibly, despite all faith exercised in the opposite direction, the Bible may not, in fact, be true. A great deal of energy is spent in maintaining the integrity of the dike that withstands this anxiety. I grew in the shadow of Bob Jones University, one of the most prominent bastions of American fundamentalism. The ideas of that university permeate not only the students who study there, but in many ways the surrounding culture of Christianity in the area. The fear is pointed towards Darwin and any possibility of his evolutionary theory. It drives biology students at the university to reach strange conclusions, regardless of the science. I was taught at age ten by a biology student from Bob Jones, in a Baptist summer camp, that blacks were simply biological inferior to whites based on false information that he shared with a group of young, impressionable kids. Perhaps his biology was not the product of his university classes. But it was as baseless as much of the science that was done there. The same fear drives the concern for the Flood of Noah and the age of the planet (not to mention any possible hint of evolutionary science). Thus the earth must be young, the flood must be literal (with perhaps a still existing Ark on Mt. Ararat). Science has an answer that it must prove, rather than a question to be answered. The agenda of such fundamentalist science is set by the need to refute anything that possibly undermines a peculiar view of Scripture. One flaw and the entire house of cards comes tumbling down. It makes for bad science and even worse Biblical interpretation. I am no friend of liberal Biblical studies. I suffered under such oppression for a number of years and can say that fundamentalism also has a liberal form. I was punished (intellectually) for believing all of the articles of the Nicene Creed as much as a Darwinist would suffer at Bob Jones. But that is its own story. The history of literalism is a checkered affair. Some of the early fathers leaned in a literalist direction for many parts of Scripture, though leaving room for other, more symbolic approaches, where appropriate. The great battles over the historical literalism of Scripture arose in the 18th and 18th centuries in Europe and America (battles over certain scientific matters versus literalism began even earlier). Part of the tragedy in these battles was that the battlefield itself was a fairly newly-defined area and failed to take into account the full history of Biblical interpretation. For a young believer in the midst of America’s own intellectual religious wars in the late 20th century – my question was whether the choices presented were the only choices available. I should preface my remaining remarks with the simple affirmation: I believe the Bible is true. Having said that, I must add that the Scriptures do not stand as an independent work of literature or a self-contained Holy Book. The Bible is not God’s revelation to man: Jesus Christ is God’s revelation to man. The Scriptures bear witness to Him and are thus “true” as a true witness to the God/Man Jesus Christ. As others have noted, the Scriptures are true as they are accepted and understood by the Church that received them. They are Scripture as recognized by the Church and cannot be removed from the Church only to turn them against the Church. They are unique writings, and must be read in a unique way. That way is found in the liturgies of the Church and the commentaries of the Fathers. It is also true that within the writings of the Fathers there can be a variety of opinion on a number of Scriptural matters. The essential agreement is their testimony to Christ. Genesis is about Christ. Exodus is about Christ, and so forth. Read any other way, the books are interesting, but they will not be read in a manner that has been received by the Orthodox Christian Church. First – the traditional modern view (whether fundamentalist or otherwise) of history, is a matter of chronology. It sees a beginning at some point in the past and a progression to some point in the future. This same chain of events is generally viewed as reality, or the ground of reality, and championed above all other things. God acts in history, they will argue, but history is somehow the reality with which God has to deal. This is highly problematic for an Orthodox theological understanding. Not only does Scripture treat history as quite relative (Christ is the Alpha and the Omega, the beginning and the end, He is also the “Lamb slain from the foundations of the earth”), it in fact makes history subject to the end of things – making history simply one aspect of lived eschatology. Thus time and chronology do not govern reality – God governs reality. By the same token, Holy Scripture is a Divine account of reality, not itself explained by chronology nor subject to historical validation, but subject to the Truth as it is made known to us in Jesus Christ. Thus the New Testament is Scripture, though the writings of Josephus or Tacitus are mere history. There is a nervousness that runs through the body fundamentalist when phrases such as “mere history” are uttered. It is a nervousness that is born of the attempts of liberal modernists to dismiss as “myth and fiction” what are seen as events essential to our salvation in Christ. No one who is a believer could treat such anxiety with anything but sympathy. In many ways, with the tools at hand, conservatives in Western Christianity have fought a valiant fight to defend the faith against a serious contender. But that fight does not justify every argument advanced by fundamentalism. Orthodoxy offers a different approach. I recognize a nervousness that occurs among many conservatives if “truth” is approached in any manner other than literal. Liberals have played games with words for so many years that believers are rightly wary of word-games. On the other hand, for theological accuracy, it is necessary to speak of truth and its character in Christian revelation. The Scriptures tell us that Jesus Christ Himself is the Truth. This is not to say that He is the Truth as compared to some external criterion of truth, but rather that He Himself is the criterion and definition of what is true. Things are true and false only as they are compared to Him. He may be compared to nothing else. By that token, it is problematic to define “truth” by some particular standard of “historicity.” I understand the importance of saying, “This is really true,” and would never want to deny such a thing. The tomb on Pascha was empty, Christ is truly raised from the dead by every standard and then transcending every standard. His resurrection is the true ground of all reality. Having said that, it must also be said that the Scriptures are true (as Scriptures) only inasmuch as they reveal Christ as the risen Lord and what that means for all creation. The witness of the Church is that these writings do precisely that and are thus Scripture. But it is the resurrection of Christ that undergirds the Scriptures and not vice versa. The disciples did not understand the Scriptures until they understood the risen Lord. And this remains the case. Thus the import of Noah’s flood is to be found in Holy Baptism and not the other way around. Creation as shared in the first chapter of Genesis is an unfolding of the Paschal mystery and it is from that mystery that it derives its value. I could multiply such examples. When this principle is forgotten, Christians find themselves arguing over points of geology or archaeology and not over the triumphant resurrection of Christ. If Christ is risen from the dead, everything else becomes moot. If Christ is not risen from the dead, then all Christian statements become moot. What can we say to these things? The Scriptures are true because Christ is risen from the dead and this is their message. The faith of the Orthodox is that all things find their beginning and their end – their meaning and their fulfillment in the Pascha of our Lord and Savior Jesus Christ. This is the good news. What other good news could there be? God Bless the Eastern Church. This is an awesome blog! Thank you for this article Father Stephen. I’ll be returning frequently! Thank you SO MUCH for this wonderful series on the Scriptures – and for your whole wonderful blog! You wrote, “Creation as shared in the first chapter of Genesis is an unfolding of the Paschal mystery and it is from that mystery that it derives its value.” If you have the time, could you please unpack this a little so I can understand it more clearly? Thank you again! How then shall we see the process of the creation and preservation of the texts that we call the Old Testament? When we read something that sounds so very much like history (Kings or Chronicles) and can come away saying… “wow whoever wrote Chronicles liked King David alot more than whoever wrote Kings…” what does this mean? Part of me gets excited about this, part of me is offended. David, such things may be interesting, but they are not the hypothesis of the scriptures. The hypothesis of the OT is Christ the godman. To find anything else in the OT is to re-arrange the portrait of the king into a portrait of a fox. For more on this, just pick up Irenaeus. About Genesis and Creation, St Basil the Great in the Hexaemeron gives a detailed exposition on the Creation. I have only read bits of it, but intend to study it along with the Genesis readings during the coming Great Lent (Fr James Griggs recommended it). Nathaniel, I appreciate Irenaeus’s point, but surely his rhetorical device doesn’t simply allow for the dismissal of the problem. Irenaeus certainly makes me more careful, but I’m not rearranging little tidbits. I’m looking at whole books (even sets of books) that are difficult to fit into the “prefiguring” model. The first few issues seem reasonable to dismiss, but when time after time I’m having a hard time finding even the most “generous” stretch to refigure certain material. One might as well take Beowulf and say, “hey here’s how this is really about Christ.” It would be just as true (as all things are about Christ) but it also seems a sort of violence on the author and those who cherish and preserve the work for generations. I’m struggling here with Christ’s ownership of all things. It feels like some of what liberals try to do to Christ Himself, treating Him as a prefiguring of “true life” or something. Taking any sort of significance out of Him, Himself. Like Tillich simply declaratively redefining terms like faith to suit him. Thank you for this, Fr. Stephen! God bless you! David, you need to look in those particular books and passages for the establishment of the hope in the Son of David, the new David who will come to do things even better than David did. You can see this in the powerful language used by Isaiah in reference to the coming birth of Hezekiah, a Son of David, but which truly prefigures the ultimate Son of David, the Son of God in a particularly surprising way that every other king who was Son of David was not. From Genesis, through the historical books, and into the prophets, the family line of the firstborn of all creation, the one who by right of primogeniture is king over all other kings, is established in David, and the future promises and expectation take hold and grow after the Babylonian exile, though much more was said even before the exile. So yes, this is a kind of revealed history, in addition to commentary on history by holy prophets who worshipped God when all the kings and priests and other prophets turned aside. It’s a record of faith through many generations, and of hope and trust in God for both the present and future. Some things are obviously not so mysterious: Solomon was David’s son, for instance. But we learn that something other than a flat reading of Genesis chapter one might suggest was going on because of John chapter one: our Lord Jesus Christ, the Word of God, created all. In Genesis one we read “God said…” various things and they were created. So, God’s Word did do the creating, but what really is going on there, as we learn in John, is not something that would ever be transparent in a flat reading of Genesis alone. (And in fact the “how” of it all is still obscure!) In addition, the apostles and fathers show to us that Christ is the Lord of the Old Testament as well, Who led His people, instructing them through inspiring His prophets with messages that were couched in such a way that they were not only immediately applicable, but also further applicable in ways that were probably not wholly understood by the prophets themselves. Thus the Genesis and John example, and the Isaiah example above. It all coheres, in the end. The realization that the Canon rests upon Tradition is earth shattering to a protestant, it was for me. It is at the same time undeniable. Lately reading in Eusebius, among other places, I am continually struck by the realization that the various heretical teachings of today that are now taught from “The Bible” do not realize the extreme irony of their position. Those that deny the trinity, or the God man, or teach keeping of the law ( judiazers ), etc. all do so from The Bible. Yet historically those who taught what each of these groups taught disagreed with The Church on what was to be included in the NT canon. Also in Eusebius we find how and why various Gospels and books were written. Its fascinating reading. For me the hard part is to then accept the teaching of tradition that, while it doesn’t contradict scripture, is not directly taught from it. Even though I believe yet I declare Lord help my unbelief. Finally your observation that Christ is Truth and that is a rule against which all other truth must be evaluated is profound. We don’t measure Christ against our definition of Truth to see if he is true. Instead we measure our definition of Truth against Christ to see if it is true. This is similar to a realization I had years ago that God is Love. If something he did doesn’t seem loving then we do not understand Love. Thank you so much for your continued blogging and public teaching. At some point I’d like to write an article on the subject of “history.” I find it somewhat “privileged” in a number of the comments and I’m not certain it should be. Just as we can say Christ is the Truth against which all else must be measured – so too – in some way – history is relativized by Him as well. But it’s something I want to think more about before I just offer my speculations. David, I don’t think such a methodology is dismissive to the authors. I think there are some important points to be made here. First, *all* of the Fathers read the scriptures this way, including the Apostles. Neither the fundamentalist nor liberal hermeneutics use the OT in the same way in which the Apostles use it. Time and time again we hear in the scriptures “Christ did this to fulfil the prophecy…” St. Paul further makes things abundantly clear that “the Law has become our tutor to lead us to Christ” If that weren’t enough, Christ himself tells us “Search the scriptures, they speak of me.” Further, this is not just a Patristic or NT methodology, but an OT methodology. For instance, Elisha becomes a fulfilment of Moses, etc. This hermeneutic is not something new, but something very, very old and, in addition to its age, is the normative hermeneutic for all of ancient Christianity. Second, while Beowulf is not Scripture, I’m not sure what is so wrong about seeing Christ in Beowulf, or a Lotus blossom, or Harry Potter. Justin Martyr is very clear that this is the Spermatikos Logos: the Seed of the Word. Christ has disseminated himself into the whole world, some places obviously more cogently than in others. Third, while I’d like to be careful to the claim of doing “violence on the author,” I would suggest that *any* claim to inspiration does violence on the author. Is this not precisely what liberalism and New Atheism are arguing? Implicit in our claim that scripture is inspired is the doctrine of the singular, transcendent author. Here we return to the Fathers: the singular, transcendent author is the Word of the Father through the Holy Spirit and He is speaking of Himself. Further, regarding the charge of violence against “those who cherish and preserve the work for generations”: who preserved the Law? The Jews in exile awaiting a saviour akin to Moses and Elijah. Who preserved the Prophets? The post-exilic Jews awaiting the Messiah. Who preserved Philo? Not the Jews, but the Christians who found in Philo a deep understanding of the God who had *always* been revealing himself. In short, those who preserved the writings preserved them precisely because in them they saw some aspect of transcendent authorship. Christianity is not new in regarding the scriptures in this way. Thank you Father. I subscribe to your blog and read it almost every day. I keep coming back because I believe that you recognise Christ in Spirit as Truth, and this shines through all your writing. Thank you Father. As someone raised in a fundamentalist Christian household, but who now has been called into the sciences as an area of work and ministry, I have had a hard time reconciling the literal view of Scripture with the truths and theories of science. I have recently been pointed to your blog by a friend, and am discovering the written word of Scripture in a whole new way, through the study of Orthodox thought. So, thank you for your postings. This past week’s postings have been particularly interesting and thought provoking. I’ve researched the book of Genesis for 30 years in great detail drawing on the disciplines of linguistics and anthropology. I can testify that the Genesis material, which is foundational to all of Scripture, is verifiably true. The Church Fathers didn’t have access to the social sciences as we do today, yet they are always on the right track in their interpretation of Genesis. In fact, St. John Chrysostom is the only commentator on Genesis who actually understood the meaning of the Lamech story. Thank you, Father, for another wonderful post. This made my day! Ok. I’m a little confused. Maybe this is just too “over my head” but I’m trying to figure out, if Christ is the standard of truth and it is by Him that truth is measured, how do we know He’s true? I guess I’ve always operated under the assumption that the literal truth of the Bible was supportive proof of the truth of Jesus. How else do we know that He was real, that He said what He supposedly said and did what He supposedly did, if not for the historical reliability of the Bible? I’ve commented here before and I am Orthodox and this post resonates with me and makes total sense on one level. Of course everything should be seen through Christ. Of course, “the import of the flood is to be found in Holy Baptism,” as you say. (Side note: we just had our house blessing and our priest was using this very example to explain things to our kids.) And yet, my protestant upbringing is struggling to understand how I know this is really true and how I explain it to my protestant friends without having them decide that I have totally gone off the deep end (that boat may have already sailed!). I suppose in some way this relates to the one-storey universe, doesn’t it? I’m probably subconciously assuming that history is “real” and that Christ happened on some “other level.” Is my protestant slip showing? While this thought really does make things better, it’s hard for me to wrap my brain around. Thank you for posting this. The one thing I have learned for sure is that *I* am not the standard of truth and that my inability to understand something has no relation at all to its truth or its importance to me and my relationship to God. Thanks be to God! The problem I’m having Nathaniel is the declarative nature of the proposition. The church tradition I grew up in certainly had some over-dependencies on textual/historical literalism. I suppose I can be dismissed as simply still ailing from that same distortion. But that’s the point. I’m just being dismissed. No one is actively demonstrating this patristic hermeneutic. I have no scholarly background to dispute that “all the fathers of the Church used the Hebrew scriptures this way”. Clearly there is some insight that isn’t gained from textual deconstruction or historical analysis alone, otherwise sloppy (by modern standards) quotes by New Testament writers of Hebrew writings would be more problematic. Even Christ re-words passages to reveal Himself in them (e.g. John 7:38). To say broadly that the scriptures point to Christ is one thing, but to take each tiddle and mite and send it through a meat grinder trying to make it match up with some prefigurement seems a stretch. I remember reading Augustine’s insistence that the numbers of generations of Christ’s birth bore some important significance, yet he was off on his count, the lists of genealogies differ and his “insight” as to the meaning of the numerology was bland and added nothing meaningful to the Gospel writer’s claims of Christ’s Messianic mantle. I’m totally committed to the idea that as a whole (Fr Stephen forgive me here) “arc of history” in the Hebrew scriptures and in specific passages that seem particularly insightful Christ was prefigured. But I don’t want to do to the prefiguring hermeneutic what the textual criticism hermeneutic does chasing after ghosts. And proving my own theories by rearranging the facts to suit them. Otherwise, I start speculating on who King David’s friend Jonathan is… is he Lazarus, maybe John the Baptist, maybe the “disciple whom Christ loved”, or maybe Christ Himself. I’ll sit down and write a homily right now and decide. It feels a bit disjointed and capricious. I think the problem for prefigurists isn’t when the scripture is “historically” problematic, but when it’s historically precise. If there was a real human being Jonathan and we actually have a reasonable facsimile of his actual words and deeds, to say that he’s some prefigurment of Christ is to deny, in part, his personhood. I suppose we can end run around this and say that he was chosen to be included in the scriptures and not some other unknown friend of David’s named “Bob” because “Bob” didn’t prefigure Christ. But wow, that’s making it up as we go along. This goes to the noble desire of having “all saved” which some Orthodox would like to believe. To my mind its not love but a sort of violence against the personhood of persons who chose to reject God, a sort of “I know who you are better than you do” a denial of their distinct wills and the unraveling of the plan of salvation in this world. I’d even go so far as to say it comes from insecurity that if some eternally reject God that says something not about them, but about God, so we have to clean that up. Yeah, that’s a broad brush, sorry, and probably a distraction from my point. I want to clarify again, I’m not disputing prefigurment, I’m struggling with it, particularly in how it might be used. This is not a condemnation of a patristic process, but in how we might misuse that process. Sorry if this seems argumentative. Thanks for this post Fr. Stephen. I can remember with great clarity the day when sitting in a seminary classroom, our professor made the statement, “God’s revelation is not a book, but the person, Jesus Christ.” It was an aha! moment that changed my whole way of approaching our faith. By the way, we are neighbors. One of these days I need to make it over to Oak Ridge. I met your co-worker Fr. Justin a few months back and promised to come back sometime, so I need to be true to my word. Thanks again! Thank you for your posts once again. I just wanted to thank you for the role you and this blog have played in my life. Thanks be to God, my wife and I were chrismated into the Orthodox Church on Sunday at St. Nicholas in Narol Manitoba Canada. Our son Peter will be baptised on Saturday and then the whole family will be Orthodox. We still have so much to learn but are just so grateful to have taken this step and to no longer be on the outside looking in. Lucy, we know He is true because we still today participate in His Life. Because the Apostles have handed down to us not just written texts, but access to a Living Person, and have shared with us their own relationship with / life in the Risen Lord. Wisdom! Let us attend! Those are the only feeble words that I can utter after reading your blog. I am thankful daily for your wise words Fr. Stephen and for your daily witness to the absolute Fullness of Orthodoxy. If only I could get a megaphone and shout from my rooftop the words and witness in your blog all day every day until I fell to the ground breathless and exhausted but happy that perhaps someone heard your words and those words made them think. Thank you again Father. I believe you’re approaching this in the way a fundamentalist would. It seems you would like to abandon this methodology if one combed over every person, event, story, and parable in the OT and couldn’t point explicitly to the proper parallel in the NT. This is the wrong approach. This is not fundamental for our salvation, the Scriptures are for our salvation. It comes down to this, either you believe the Fathers or you don’t, either you trust in the Church or you don’t. If I combed over every Fathers’ writing to find any error, either historically or otherwise, and decided they must be wrong if I found one, I would be missing the point. I think in some ways, upon reflection, the title of my article is misleading. The Scriptures are the Scriptures and serve as such in the life of the Church. They are not “independently” true (we are not people of the book) but they are true as the Scriptures of the Church. We’ve had many years of a culture in the Bible stood as an independent entity, which is not a proper Christian perspective. I’m not holding the Fathers to be infallible (in fact, it seems you are Marcus), I’m offering the possibility that prefigurment isn’t the only valid heumenutic in the life of the Church. Since I’m not a scholar, I have to trust other posters that say prefigurment = patristic and patristic = only valid interpretation, end of story. I just don’t see it. To say that textual studies, liturgical studies, historical studies are heretical is very different than saying that they are potentially misleading and must be used “in light of” patristics. I think you have a simplistic view of my obedience to the Church I joined myself and my family to. One of my first comments on an Orthodox blog when I was investigating it was on how to “gain the mind of the Fathers” about scripture. I get very frustrated with simplicity these days. There’s an Orthodox writer (whom I won’t name) that insists in his book that essentially the Holy Spirit has assured that there would never be disagreement in the Church. There’s all manner of disagreement! The life of the Church is the continual working out of our collective salvation. We work through the disagreement to discern the will of God, we don’t just quote St John Chrysostom and say “that settles that”. The problem has presented itself in that the Fathers, like even the best scholars and holy men of our day might disagree on any number of nuances and the applications of certain teachings. This is the danger of some publications like “The Rudder”. Simply compiling all the Fathers and Canons and adding them all up like numbers in an equation for a solution is just as reductionistic and literal as what my tradition tried to do to the Bible itself. It denies the living tradition of the Church. The cannons for example simply are not applied as they were many years ago and probably couldn’t be applied. I doubt that even the most conservative Church there are people sitting on the steps for years out front asking for prayers until they are allowed back in to participate in the service. But the matter of discipline in the Church is a distraction again, I apologize. I have done everything my spiritual father (in fact, every priest, deacon, or bishop that I’ve spoken with or written) has asked of me, including Fr Stephen. None of them have instructed me to not ask these questions. None of them have presented me with “either accept what we tell you the Church says or don’t”. In fact, they’ve encouraged me to work out my salvation in the Church. It is a place for me to struggle through all this with the guidance and compassion of those far greater than I will ever be. 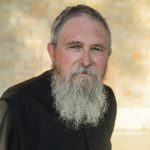 I apologize to Fr Stephen and this community for the tone of my last post. I need to pray more, confess more, resist sin and argue less. forgive me as well, the tone of my post is caustic and isn’t written the way I felt, I should’ve kept my mouth shut. Forgive me. I haven’t read the whole discussion, so if this repeats some, forgive me. St. Paul tells us to imitate Christ and to imitate himself. We tend to make this imitation merely moral, but I don’t see how we can do this. Christ is to be imitated in everything he does. There is nothing about which we can say “Christ acts one way, but I’m not going to follow Him there. I’m going to do something different.” But that means that we are to imitate Christ and St. Paul in their hermeunetic. Or more strongly, we are to learn to read the Old Testemant by imitating Christ and the Apostles and saints. And we know that Christ read all Scripture as being about Him, and similarly St. Paul did. We should learn to read the Old Testemant by reading Hebrews, and doing the sort of thing St. Paul does in Hebrews with the rest of the Old Testemant. We should read the story of David as St. Paul reads the story of Sara and Hagar. But that certianly doesn’t mean it is easy to do so. Someone can do a poor job reading a book literally, someone can do a poor job adding two numbers, someone can do a poor job spelling, and someone can do a poor job reading the Old Testemant like Christ. We need to practice and learn. So here’s one place difficulty and disagreement can arise. And second, the allegorical is built upon the literal. In two ways. First, not only Kings or Chronicles find their realization in Christ, so does David himself. And so when we read of David and piece together Kings and Chronicles we can discover something about David which finds its center in Christ, yet is not explicitely contained in Scriptures. But also, the literal is important because it is this text here which points to Christ. Yes, Kings and Chronicles portray David differently. And that means that they speak of Christ differently. They say different things about Christ. Just as, say, Genesis and Esther, say different things about Christ, so too Kings and Chronicles do. And it is only by attentively reading Kings and attentively reading Chronicles and seeing what they say that we see what they actually have to say about Christ. Perhaps that helps a little? I disagree and think you have it sort of backwards. Christ is the meaning of the Scripture, and we find the meaning in Him, and from that the Scriptures begin to make sense, and not the other way around. Read the accounts of Christ and His disciples after the resurrection and see what He does. Christianity was and is a radical re-reading of the Old Testament made possible because of the complete and final revelation of God in Christ. The Old Testament, according to the Fathers is “shadow,” whereas the NT is “image,” and the Eschaton, is the Fullness of the Truth. It is not the shadow that gives the light – it is the light that reveals the meaning of the shadow. David, let me start by noting that I, myself, am a relatively recent convert from a form of Protestantism that insisted upon every word of the Scriptures being absolutely true in a historical sense. In fact, I remember a friend of mine once insisting that, when the End Times come, there will actually be a beast with 7 heads and so on. He reasoned that, if we read everything else in the Bible literally, why not read Revelation literally, too? So, I’m still learning this stuff, too. What I’ve been learning about icons is that, on the one hand, they intentionally avoid presenting their subject with realism. By that, I mean that they do not portray what someone who witnessed the person or event depicted with their physical senses would have seen. They strive to present the spiritual truth of the person or event. At the same time, they do depict the person or event in a recognizable way (i.e. an icon of St. John would be recognizable as St. John to someone who knew him in this life). Anyway, this is sort of how I understand it. In the end, I don’t think that idea that there may be an allegorical meaning to a person’s life in Scripture necessarily takes anything away from who that person is. It may simply be that this person lived in such a way that Truth was revealed in him, and therefore he was written about in Scripture. But that’s just my simple thoughts. I hope they’re helpful somehow? what a great image of scripture! I have just recently begun to learn how to write icons and your description is spot on! I had never made the jump to Scripture, even though I have heard many times the phrase you mention. It is too bad that we as modern folks tend to focus more on our reading of the facts rather than the truth that many times goes much deeper. Truth, like icons, has layers and layers of meaning. Coffeezombie, I appreciate all attempts to help drag my wretched soul and body closer to Christ. Thank you. I’m a little confused. I thought I was saying that Christ was the light and the center, and the Old Testament but shadow which found its meaning in Him. What did I say that sounded like I was saying the opposite? In other words, He will be seen to be equal to God, to have always existed. If we can imagine it, this is a full 10.0 on the Richter scale (the resurrection is about 9.0 – like the Sabbath, the resurrection is there for our benefit only). Resurrection is totally off the Richter scale. It is the manifestation of the age to come. I would disagree that the resurrection is there for our benefit only. Pascha is an “eternal” festival according to Exodus. The Lamb was slain before the foundations of the earth. The resurrection is itself a manifestation of the Eternal God. Got to let your Pascha get a little bigger. Mark, I agree with you. the bible is not real(in the literal sense).I do not believe though that you should be quite so dismissive of it. I do not consider myself a christian,but since I once was I grappled with its meaning to myself for some time.I finally came to realize though that this literal,historical interpretation of it leads one to miss the whole point,and the understanding that was painstakingly conceived for the ages is lost to us. The Bible is a book of psychology,it is a book about the human condition and a book about how to overcome the world. The historical nature of it does not matter,as does not the mythological nature of say (jonah and the whale,noahs ark or the garden of eden.All thinking people realize that these stories are not true. But it is the psychological ideas hidden within the stories that can give you a new understanding and thereby free you from the psychological oppression that the world lays on you.I will give one example and then i have to go.Take for instance the crucifiction scene,and you will take the place of jesus.In this scene you are arrested in the garden of gesemenne.But by whom?By one half of the culture,(the church and or priests).They find you guilty,(psychological).Next they turn you over to the other half of the culture(the state or the governor).Now even though the state decides you have done nothing wrong they decide to crucify you anyway,why?Why to keep order.They pound a crown of thorns,(get the psychological idea) into your head. then they crucify you on a hillside called golgatha,which is a hebrew word meaning place of the skull(Get the psychological idea). So then to cut this short this story is trying to tell us that we, though born free of spirit (symbolized by jesus)and that this spirit is then psychologicaly crusified by our culture in order to keep order in the society. Personally I believe that the ressurrection happens only when you recognize that your spirit has been psychologically imprisoned this way,because if you never recognize it,if you never look at it then you never raise up from it. so please excuse the spelling and the grammar i was not very well schooled. Goodbye. Thank you very much Fr. Stephen! You have said in a few minutes of what would take me many hours. It seems to me that many Orthodox do not understand how we interpret scripture. We should do our best instruct them, that they may not fall into the errors that many of our western brethren fall into. I remember, Father, at one time you put up a video about St. Nikolai Velimirovich. It contained many photographs at various stages of his life, then ended with an icon of him written after his repose. It struck me then that there is that which is hidden in each of us that cannot be revealed by a camera, and can only be known when we take into account that which icons revealed. This is not accessible to the journalist, the biographer, or to the historian, but only to the Church. In the same way, the Bible is not journalism, because journalism is not the truth, nor is it history, because history is only an approximation as well. David, don’t get caught up in “prefiguring.” Prefiguring I think is a rather reductionist term. I am not saying that every jot and tittle of the scriptures is a prefigurement of something else. I’m saying that the meaning or the hypothesis of the scriptures is Christ. Sometimes this is the historical. Sometimes this is the allegorical. Sometimes this is the typological. Sometimes it is all of the above and more. But always, it is about Christ. This is not to say that any bizarre interpretation is correct so long as it is about Christ. You point this out amply using St. Augustine (as well as pointing out what we Orthodox always profess: the Fathers are sometimes wrong too; we cannot be fundamentalist in anything). As far as demonstrating this thesis, such is too difficult to cover in a blog comment. Fr. John Behr’s book “The Way to Nicea” should cover this in excruciating detail. Rereading, I think I misunderstood your point. It was my effort to say, “If we know Christ, we will be able to see Him in our reading and studying of the Old Testament.” Subtle difference. It’s my hesitancy to set the text before Christ, whereas I think Christ comes before the text. The disciples did not understand the text until they encountered the Risen Lord. Probably picky on my part. Forgive. No need to apologize, the tendency to put the shadow before the Light is a real one, and a very problematic one. As for subtle differences, sometimes the subtle difference of one simple iota is enough to deny Christ and shatter the Church. Father Stephen, God Bless. I cannot get over rereading this blog and the many varying viewpoints presented. Please permit me to add my own thoughts even if I agree with everything that you have said. the cross and His resurrection. Again thank you for this great blog and may God bless us all. Thank you, Father Stephen for this blog. I can not stop going over and rereading this blog and everybody’s comments but I have to admit that after reading so many varying point of views on this blog and Fr. Stephen’s other recent blogs, it is very easy to get side tract and miss the most important thing just like Fr. Stephen have pointed out. I have to device a means on which I can refocus. I like the “treasure hidden in the Fields” analogy that Fr. Stephen Quoted from St. Irenaeus. The Scriptures is the “Fields” and the “hidden treasure” is Christ. I like to imagine myself gazing into this “fields” from a distance, and from where I am standing, I see the “treasure”. Where should I focus my attention–on the “fields” or on the “treasure”? Christ, His suffering, death and resurrection is all that matters just as the Fathers and Fr. Stephen are trying to emphasize in their teachings. I enjoyed this very much, Fr. I had wrestled with t his issue for a long time when I was Protestant, and in the absence of the ability to come up with a coherent model or to bring myself to deny what science could establish, I found theapproach you outlined the only approach: Christ is risen. I may not understand it, but it is really all that is necessary. People Missing the point was very much the problem when Jesus came for “his own”, for his “own received him not”. Jesus was grieved over this problem and “wept” over Jerusalem and lamented. Jesus Christ is the “King of kings” and “Lord of lords” and they were looking right at Him and failed to recognize Him as He is. Imagine missing a beloved member of your family in a once-in-a lifetime rendezvous–a beloved one whom you have been longing to see for a long time, just because your beloved’s physical features no longer match the memory you had of him when you last saw him. Jesus Christ is “fully human and fully God” and therefore we can say that the same overwhelming feeling of sadness and regret must have been felt by Him when He said those words. Thank you again Father for providing a site where everyone can have their voices heard and not be judged harshly. This blog helps me to clarify which side I’m on (e.g. do I still think protestant or do I think Orthodox?). The process of conversion to Orthodoxy is short but I think, the process of assimilation to the Orthodox Faith and its teachings will be slow and long and probably for some even, will be painful and emotional. I am a Humanist/Atheist and enjoy reading about religion. Fr Stephen you say that Science has an answer that it must proove. I am not sure that science has an answer but science does have an hypothesis that it does believe strongly in. Could I say that you too only have an hypothesis for which you have little or no evidence. If you would like science to provide proof for its hypothesis then surely you too should provide proof for your hypothesis. As for the Bible being a “unique” book and that the othodox are the only ones qualified to provide a “unique reading” could I suggets you read some “mere” history and see what happened to society when we had the benefit of “unique orthadox readings” . Nealy 7 million people were raped, tortured, burnt and killed. To give you another example. Biblical Astrology is completely incorrect and you can thank science for the correction. It took the Orthodox another 4 centuries to accept that Galileo and science were in fact correct. The Jesus story was written by people who had never met him and who wrote their documents some 3-4 generations after the event. When reading the Gospels this must be taken into account along with the fact that 75 % of the Othodox Mass is taken straight out of the Pagan religions that existed at the time. Jesus must be read in that context. Virgin births and ressurections were common place in the old religions and in fact were the standard requirements for Godhood. The empty tomb is not only evidence for Jesus’s ressurection it could also be evidence that he had never died in the first instance. The Bible says that the disciples had brought Healing herbs and not Balming herbs. This is a very important point and it begs the question,what did they know or believe to know? We now know due to “mere” medical science that it would take several days for someone to die through crucifiction. Jesus was only on the cross for as little as 3,6 or 9 hours depending on which of the “uniqie books” one is reading. Jesus also did not have his legs broken in order to speed up the dying process. It was Simon who carried Jesus’s cross and not Jesus as was dipicted in Mel Gibson’s movie. Jesus was a young man, healthy and strong at the time of being crucified and it is more than likely that he survived the ordeal due to the short time he was on the cross. It is true that science has proof of Natural Selection. Check the web sites on the evolution of the human spieces. I am not sure but I think there are now 15 or more strains of the HIV virus and TB has also evolved into stronger strains. Just as you Fr stephen have an a hypothosis and a strong faith in that hypothosis, so too, does science. Science would not ask you to proove the existence of God and we should not ask Science to prove our origins. I will concede that they certainly are trying. Religion cannot survie without science and the greatest threat to religion is religion itself. Your greatest problem is coming from within and not from without. Does God exist? No one can know the answer to that question in this life. If God does exist then he is bigger than anything that has ever been written about God. Many thanks for your stimulating article. I wish all people of any faith a interesting journey. For once more, Father Stephen has proved that Orthodoxy is blessed because people like Father Stephen, convert into Orthodoxy. Spiritual men are not easy to find. I believe that OT (because NT is proven that is history) is also historical fact. I do not think that it is only symbolic for the NT. When we investigate Greek mythology, we know that all these stories have actually happened but maybe they are a little bit exaggerated or the actual reasons have been changed to make it less cynical or more romantic. The OT is the most anti Semitic book but it is their history. Why else would the Jews write such a book? The scientific discoveries, that are continuous, instead of contradicting the OT in fact they verify it. Genesis happened the way Genesis is describing (not in six days as we perceive it of course), the starvations happened, the flood happened (all mythologies talk about a great flood), the burning of the cities happened (Sodom and Gomorra), everything happened and it is proved everyday. Now for us Orthodox Christians the true belief is in what our Lord told us. We believe what He said and what His disciples said. Proof of Him: Plenty and historical. Proof that He did what He did: I believe He did it. If somebody doubts it then try to prove that He did not do what is written in the scriptures. Then again, scientists know only 4% of the Universe. The rest 96% is dark matter, dark energy or simply…..GOD. And then nothing magically exploded for no reason, creating everything and then a bunch of everything magically rearranged itself for no reason what so ever into self-replicating bits which then turned into dinosaurs. I’m not sure if you picked up on this, but when Fr. Stephen wrote that “science has an answer that it must prove, rather than a question to be answered,” he wasn’t referring to the discipline of science, but to the “science” that is promulgated in certain fundamentalist Christian circles with the intent to “prove” certain literalist biblical interpretations that appear to be at odds with established science. In other words, the fundamentalist “science” is committed to proving its already formulated conclusions, whereas genuine science begins with questions and follows where its data leads. Also, in your reference to 7 million killed (the Inquisition? ), Galileo and “biblical astrology” (actually, the Bible speaks against astrology), etc., you seem to be confusing Orthodox Christianity with another church that had been in schism with Orthodoxy for centuries before the incidents you mention. You won’t find an Inquisition in Orthodox history. The “Orthodox Mass” (again, you seem to be confusing Orthodoxy with something else) is called the Divine Liturgy, and much of its text is scriptural quotation or scriptural illusion. I’m not sure how its origins can be 75 percent pagan, especially when you consider how much the pagans hated Christian teaching and sought to snuff it out right from the start. Please forgive me for presuming to offer answers and perhaps being argumentative. It just seemed to me that you might have missed the point that was being made here and that you have mistakenly affiliated Orthodox Christianity with historical events and trends that it had nothing to do with. Oops … I meant to write “scriptural allusion” rather than “illusion.” Big difference! One without any understanding of science may know God through Faith but one without Faith cannot know God. One may know God and understand science as well but without Faith one can only claim to know about science and its discoveries and nothing more. The Faith referred to here is the Faith of knowing God revealed in Jesus Christ–This is science and beyond. You are mistaken about Orthodox history. I do not know to whom you refer, but there is no 7 to 9 million people killed by the Orthodox. That’s just nonsense. “There is a guy going to the barber shop. There, he comes across a conversation about God. –	There is no God. Says the barber. –	How do you know? Said the guy. –	What do you mean how do I know. Don’t you see all the pain around? Don’t you see how many people are miserable? How many people are hungry? –	You are right. The guy says. He finishes the haircut, he pays and gets out of the store. One minute later, he comes back in a hurry and screams: “Oh my God there are no barbers in the world”! “What are you talking about I am a barber” said the barber. “Look at all these unshaved people, dirty with long hair”! “If they came to me they would not be like that” said the barber. “EXACTLY” said the guy and left…..
John Ely, have you ever researched how many have been tortured and executed merely for their political or religious beliefs as a result of the humanist/atheist philosophy, Communism, only within the last century? Does that mean there is no basis for some atheist/humanist ideals or that all atheists are ignorant and murderous tyrants? I don’t think so. Be careful the “facts” you choose to believe and throw around. Is the misinformation you believe in part responsible for the holocaust and persecution perpetrated by humanist/atheistic government? If so, that is as tragic as the religious Inquisitions and battles that are part of western religious history (not so much the Orthodox) and on a much larger scale. It suggests that perhaps something other than religious or philosophical ideology is at play in such injustices, but if we compare the two–humanist atheism and Christianity–looking mainly at the raw numbers of the murdered and oppressed (as crude and unnuanced as this approach is)–it would appear that the teachings of even a corrupted Christianity have more power to restrain our murderous and selfish instincts than does humanist atheism. Forgive us Christians for the hypocrisy that has led to our violating the Commandment of Christ in things like the Crusades and the Inquisitions! There is no excusing these acts of violence against the gospel and against a world that Christ loves and gave His life for. Unfortunately, humanist atheism cannot credibly claim the moral high ground here either for anyone familiar with the facts. Many thanks to those of you who replied to my email. I would like to say sorry for linking the Greek Church and the Roman Church together. I grew up in the West and have always heard many from the Roman Church calling themselves orthodox. I assummed that both churches have similar theology. eg orthodox. There was a schism in 1054 and now Christianity has 33,000 denominations. What is the problem? Surely 1 church would be enough. Ha ha. The Roman Church certainly did kill millions. Karen C: yes I have read much about those Communist/atheist tyrants. None of them were Humanist/Atheist. I agree with what you said about them. Well said. Have you read the history of the Roman Catholic’s Church’s support for all of those Facists tyrants last century Karen ?A facinating read. The Catholic Church on learning about the extermination camps and the mass graves, quickly prepared Vatican Stamped papers to the leaders of the 3rd Reich and sheltered them in catholic monastries throughout Europe. The Catholics gave a Mass for Hitler and recently they gave a Mass in honor of Pinochet. Mathew, don’t worry about your mistake we all make them and I did in my email too. ha ha. I was talking about the Roman Church and it was Cardinal father Newman who had enlightened me on the pagan origins of the Catholic mass. I don’t know about the similarities between Paganism and the Othodox Mass. Zoe: many thanks for your comments. I was there about 30 years ago too. I had lost faith in institutional Christianity and the rest is “mere History” I wish you all well on your journey. Thanks, John Ely. “Humanism” is variously defined. In a technical sense, Communist atheism, is by definition a “humanist” (i.e., man-centered) philosophy. It is in that sense that I meant it. What do you mean when you call yourself a humanist? I’m glad you enjoy reading about religion, but I’m afraid much of such study will only engender anger and confusion. Religious people (and world religions) are quite a varied lot. One will kill for his religion–but a true Christian will only die for his. I pray you may have an encounter with the Life-giving grace of the Holy Spirit and come to know the Living Christ, Whom to know is Eternal Love, Life and Joy. Warm regards. John Ely, Your line of reasoning is in the same line as my son’s, although he has not stated with determination that he is an atheist. Like you he wants concrete proof on everything. He wants mathematical exactness; but as we know that even some numbers can not be divided equally and exactly and there are branches of science that are not exact science, i.e. Medical Science. I always read from my doctor’s release form stating “Medicine is not an exact science”. It just disheartens me to know that there are so many who can not have Faith in God through Jesus Christ just because we cannot put him (God) under a microscope or the measurement of Noah’s arc does not correspond to the size of a ship needed to accommodate the number of animals (two of each kind)–these are my son’s argument not yours. The point I’m trying to make is give a little bit of room to think that maybe God does exist, knowing that Science does not have answer to everything either. All Science does is study and investigate things that had been in existence from the beginning. Without creation or matter where would Science be? Science cannot exist if there are no material things (creation) to put under the microscope, so to speak. As far as institutional Christianity, if you mean, the western version of Christian belief, I can understand your losing faith–it was too confusing for me until I found Eastern Orthodox Christianity. Fr. Stephen, your post puts me in mind of a notion I’ve been pondering. When we hear Christ reveal God as “The Father,” we imagine He is trying to help us understand what God is like by a metaphor building on our common experience of having human fathers: In some crucial ways (love, protection, provision, even generation) God resembles a (good!) human father. When Christ calls Himself the Bread of Heaven, we imagine He is helping us understand that we need Him by a metaphor building on our common experience of needing food to sustain our bodies. In both cases (and many others) we take it that our Lord is describing some exalted spritual truth by its resemblance to some feature of concrete reality. I’m wondering, though, whether we have the matter backwards: God _is_ the Father. This is reality. Perhaps He chooses to create us by human procreation so that looking at the men who begot us we might see a shadow of God the Father and so be led up to the Reality that casts the shadow. Thus the Father is not sort of like a human father; rather, human fathers are a little like the Father. The Son is not merely living but is the source of life. This is reality. We, created in His image from nothing, cannot live of ourselves, cannot live apart communion with Him. Perhaps He creates us with bodies that cannot live without a regular external source of life that enters us and becomes part of us — bread — so that thereby we might see a shadow of the Bread of Heaven and so be led up the Reality that casts the shadow. Thus Christ is not somewhat like bread; rather bread is somewhat like Christ. Hmm, I suppose C.S. Lewis proposes something like this in “The Silver Chair” when the prince, Puddleglum, and the children debate the witch about whether a lamp is like the sun or whether the sun is just an exalted lamp, whether a cat is a little like Aslan or whether Aslan is an exalted cat. Anyway, if there is anything to this, perhaps the OT is true in the same sense that fathers and bread are real. The Orthodox faith has never taught that Christ spoke of God as “Father” metaphorically. He is the Father. Thus your thoughts are much in line with the teaching of the faith. First of all I would like to thank you for your apology for removing my comments on the topic of Is the bible true.I also should apologize to you and anyone reading what I wrote if indeed it seemed to you that I came on to strong,truthfully I meant no offense to anyone,but as the topic was in the form of a question I was merely trying to answer said question with my own logic. You say that the scriptures are true because christ has risen from the dead and therefore all else is moot,but it seems to me (sorry if I am off base here)that this is akin to saying that the egyptian myths are true because osiris has risen from the dead. now I am certain that there were many faithful believers in Osiris and in his resuruction,but i do not think that that in itself can make their holy beliefs and story’s true. You also say that the scriptures are unique and therefore must be read in a unique way,the churches way,but this seems to me to leave no room for personal thought in which case we become thoughtless even if contented sheep.This I realize is not an altogether bad thing for everyone, for as jesus points out on the sermon on the mount:Blessed are the meek for they shall inherit the earth,but as I am sure you can see,jesus distinguishes between people when in the next sentence he says that blessed to are the righteous who suffer for his sake. That is why I said that the truth is elusive,because different people have their own,but that is no reason to forsake wisdom and whatever else you may think of the bible if you seek it you may find in it a treasure trove of wisdom. Obviously anyone can read the Bible any way they want. Protestantism has turned the Bible into “everyman’s” book. However, classically and historically, it is a collection of writings, assembled by the Orthodox Church and approved for teaching and doctrine and read in a unique way. As an Orthodox priest, part of my work is to teach and explain the meaning of the Scriptures from that classical and historical understanding. Of course, everyone is free not to be Orthodox. But not all opinions are equal – they’re different – but not equal. For instance, to make any historical comparison between Osiris and Christ is simply a lack a knowledge of the nature of what can be verified historically. The Osiris stories do not make historical claims. The Christ stories do. I am obviously a little behind on my reading, but I wanted to be sure and tell you how grateful I am for this post. I am quite unable to express the effect this had on me; your discussion here helped to bring to a head months (if not years) of struggles. I’m sure you weren’t aiming for anything quite so grandiose, but this post was a real source of grace for one of your readers at least. May God bless you Father! My goal as i am sure it is everyones is to if possible find GOD. MY difficulty though is the fear of living out my lifetime adhering to a belief that may have no validity. One might say that I am a doubting thomas and therefore it has to be shown to me,maybe proven to me. After all millions of people have lived out there entire lives believing in false gods and belief systems all for naught. I was raised as a christian and considered myself one up until I reached an age where I actually began to think about and actually look into what it was that I was putting my faith in.This is when things began to get difficult,when reading the scriptures I found so many of the stories so unreal and therefore unbelievable that I truley began to question my belief. Many years later i happened to start reading about the more ancient myths and when I put 2 and 2 together I realized that many of the same ideas were in direct correlation to those that i had read earlier in the bible. So this being said perhaps you could help me to understand how or why it is that I should believe the bible to be true.I understand it logically when you say that unlike the myths the bible can be verified historically,but for millions of people the myths were considered historical at the time also,why,because they were taught that it was so,certainly you do not believe that all of the bible is true historically speaking(although i know that many do.So how is it that we decide which stories are allegorical and which are historical? And even if some of the stories are actually historical,how can we know that this actual history was not merely interwoven with the same thread of mythylogical thought? When you say the bible is historically verifiable,what exactly do you mean? Do you mean that certain stories within the text actually happened? I think that most of us can agree with that,but it does not necessaraly follow that everything within those stories took place.The jews probably came out of slavery from egypt,but that does not mean that the red sea was parted by god in actuality for their escape or that god sent manna down from heaven or that moses spoke to god through a burning bush etc. Jesus certainly existed and preached his faith and was crucified,that much we know is historic but all else could later on have been easily woven into the fabric of these histories,after all the gospels were not written for 40 or 50 years later. Once again the main reason i have such a problem with this is because the stories in the bible are just so akin to the ancient myths that I find it very difficult to believe that they are not associated with one another. I mentioned Osiris in my last posting,mainly because he bares so much resemblance to jesus figuritivley speaking of course.So I only wish that you could somehow explain to me how it is that such a resemblance could occur from a mythological figure and an historical figure. Osiris was both man and god as was jesus.Osiris was the son of god as was Jesus.Osiris was brutally murdered by his enemies and then resurrected,as did Jesus.Osiris went to heaven beside his father there to judge the dead,as I believe did Jesus. Osiris conquered death so was the way for the rightous to do the same,as I believe was the same with Jesus,the way to eternal life.Is it possible that all of these similarities and far to many more to mention is merely coincidence? that there is historical validity to certain stories does not in and of itself solve the problem of absolute truth,at least not to myself.If you could please help me overcome this dilemma I would greatly appreciate it. I find your mode of conversation incredibly honest and inviting. I found this book be extremely helpful, illuminating, perceptive and clearly written. I believe that you are asking the right questions. My most recent post touches on these issues, but I’m sure that what Fr. Stephen has to share will be much more edifying. I wonder if I might be of some help to you. Many of your doubts are certainly familiar to me, and though mine have been different, there is something of a similar character there. The discussion of the relationship between Christianity and paganism is multilayered. Part of the answer is that the portrayal of Jesus in the gospels isn’t really so similar to, say, Osiris as you suppose (though to prove this we would probably need to go back to the primary sources). Part of the answer is that the relationship between Christianity and paganism need not be always adversarial. God shows his grace to all men, and not everything the pagans said or thought was wrong. Part of the answer is that the fundamentalist approach to “absolute truth” has made some irresponsible concessions to reductionism – if “myth” just means “lie” to you, then you’re missing out. If you’re interested in an extended conversation, feel free to e-mail me: wondersforoyarsa at yahoo dot com. Of course, I would listen to anything Father Stephen says – he may be the most ignorant of men, but he’s far wiser than I am for all that! I agree about the book by Romanides. He’s typically clear and helpful. Your questions are good and not at all improper. One possible book that you might find interesting is C.S.Lewis’ Surprised by Joy, in which he relates his own journey from atheism to theism to Christianity, and this as an Oxford don. He and his circle of friends (such as JRR Tolkein) were particularly sensitive to the power and place of “myth” properly understood and it influenced their writing. Tolkein was probably the master of the craft, though Lewis and Barfield have far more to say about “theory”. Lewis’ reflection on the similarities are far more satisfactory (to me) than those of Frazer’s Golden Bough, or other modern schools of thought such as Joseph Campbell, etc. That, in a sense, is part of the unique Christian claim. Not that these things do not exist as myths – and quite powerful and intuitive at that – but that all of it actually happened once (and once only), and that the single event of Christ (his birth, life, death, resurrection, etc.) are themselves the meaning of everything that is – not simply the true religion – but the very ground of all existence. Such a statement should not be made as a way of arguing against something else, but as a way of saying what the meaning of Christ is (or as we would say – Christ is meaning). I would note, as an aside, that Christians themselves can be a very poor argument for Christianity. We are only an argument for the need of Christ. But Christ’s teaching on the love of enemy lies very much at the heart of all that He says and does. This, importantly, is unlike Osiris or any of the mythic stories. I’m not speaking here about the Buddha, or other major religions. They have to be examined for themselves if one wishes. Islam is probably the only major religion that in any sense is an argument with Christianity – and that is another story. But it’s difficult to have an argument between Buddhism and Christianity, for instance, because it’s more or less apples and oranges. I cannot say that I examined everything there is and then chose Christianity. I don’t think life works much like that, except in the American consumer’s imagination – in which religion is just one more thing to shop for. My encounter with Christianity probably has a lot to do with the fact of my birth, etc. Thus the real argument for me was not about religions but about God as made known in Christ and atheism. I’ve certainly had to deal with all of the “historical” questions in the course of my life in the faith and I am satisfied about them. But Christianity is not “saving” simply because Christ lived, died and rose again. It’s not history that saves. It is God who saves. I would say that becoming an Orthodox Christian was my saying yes to an invitation to a true existence as opposed to a false existence, to becoming truly human instead of living as less than human, to understanding and accepting that it is God Himself who is my true life and existence. I hope there’s a useful thought in all of that. I will pray for you and your questions. May God hear us when we call on Him. Thank you for your response,but I am not sure it was of much help to me. You see my fear in this matter is that we all when we are very young and naive, not unlike yourself when our minds are so easily swayed get swept up into whatever ideas or beliefs that are poured into the porches of our ears until they become steadfast and whether or not these things are true and even after we attain the ability to reason they become a part of who we are. Such is the power of ideas. It is even a stronger power unto those to whom the figure of Jesus exscoriated for their blindness and lack of understanding, infering them fools for this lack.If I should accept an idea that does not agree with my reasoning and it turns out to be a false idea,what then do I say to the true god if I should come before him or her and they say to me: my son why have you been such a fool? I created for you a brain,not merely to be filled like a chalice with some others wine, but to reason with and to empty that which does not agree with you. Think of all those millions of people in times past and present who blindly followed from the beginning to the end of their lives such lies that had been fashioned in their youth. What can we say now of these pour souls who were not able to reopen their closed minds. Did all of their prayers and fervent hopes have in the end any meaning? If this were an purposeful act I would think it the gravest of sins. I could very well be wrong but it seems to me better for one to live a true life while admitting he does not know , than to live a false life believing that he does know. I guess that this is where faith comes into the picture. But this also to me seems to be merely a patchwork because it merely brings us full circle,back to the start. How can we know where to place our faith? Is faith in ones god more or less the same as another’s faith in their god? If we say NO,and that only our faith in our god is true faith then of what value is faith in and of itself ? Perhaps one could say that all personal gods are merely images of the one true god that is hidden behind those images and that faith may lead us there. I don’t know, but i have yet to witness anyone shouting from the rooftops about reaching that lofty goal. Have not thousands asked but not been given, or knocked and not been opened to, or searched but could not find ? So to the original question, is the bible true? I believe that it is not literally true,as god and the afterlife are concerned,but I do believe that it is truly full of wisdom,much of it purposefully hidden,wisdom in which to aid us in this life in much the same way as wisdom is somewhat hidden in Myth. This is not to say that god does not exist or that an afterlife does not exist,I just do not know,but the bible does not convince me. So then father stephen I do thank you and appreciate your response. I would agree with you more than you would think. It is indeed better to say you do not know than to believe a lie. Also I would agree that the Bible does not convince. That is not it’s proper purpose. I believe because I know the Resurrected Christ- not as an idea in which I have faith but as a Person who has made himself known to me. That reality has continued as the treasure and ground of the Orthodox faith for 2000 years. Christ is risen.God give you peace. Could you expand on your statement I know the ressurected Christ. What do those words truly mean to you. How personally can we expect to be able to know Him? Father, it seems to me the questions Jim and Dale raise are yet another symptom of the separation in our being that has been hotly pursued, especially in the west, for at least the last 700 years or so. We no longer know ourselves as a tri-partite being: body, mind, soul. We tend to pick one part of who we are and concentrate on it whether it be our body, our mind or our ‘spiritual’ faculties. As long as we consider only one aspect, even two of our own being at the expense of the others, we wander in a peculiar darkness that makes it quite difficult to perceive the truth even when it is right in front of us, as in the Bible or the revealed person of our Lord. Am I wrong? Is not faith and attribute of our soul that can be just as darkened and distorted by sin as any other aspect of our being? Believing is not the same as being convinced, it is simply believing. In my own case, I was forced by painful experience to suspend my own disbelief before I encountered the Lord who, in His person, His people and His Church has shown me ever new reasons to believe. I seem to encounter Him most when I am forced to acknowledge how little I know Him, how little I believe, i.e, when I am overwhelmed by sin. I thought about what you said, the bible’s proper purpose is not to convince, and was not able to refute that. Although I am sure that convincing us was certainly the hope of the many contributers of it. But be that as it may, I think that we both understand each other on that matter, we both see truth in it, the difference being that you see more truth than do I. What really struck me in your response though and seems to have piqued Dale’s interest as well is your comment:” I believe because I know the resurrected Christ not as an idea in which I have faith but as a person who has made himself known to me”. I am not sure how to react to this. I just did not realize that Christ,particularly as a person,made himself known to anyone. And if this is true, that you know, then it seems to me you no longer need to believe nor do you need faith. I had mentioned in my last posting that I had never seen anyone who had attained to that ecstacy, Imagining them shouting it from the rooftops. But you say that you know. Would that I were in your shoes. Please explain father, how did this come about, did you witness him physically or did he enter your heart. Could it have been imagination? Father Please don’t play with my emotions here. You have true knowledge of what everyone else is seeking. As Dale asked I will ask also,please expand on this, for I do not want to have to have faith or have to believe either, I would like to know also. What must I do? My own experience I would have to describe as Him “entering my heart” or a form of knowledge that carried a certainty with it that I could not have explained at the time. The first time this happened to me was at age 15 in a very private time. I was not in Church, nor would I have described myself as in a particularly religious mood. I was in the woods near my home and it was suddenly a knowledge within me that was clear, undeniable, and even unsought. A was not a momentary occurrence, but something that remained with me. I did not know precisely what to do with it. I began to pray on a regular basis after that – with no particular guidance. A few months later my older brother took me to an Episcopal Church. This was 1968, and in the South the Episcopal Church was largely unchanged from its traditional form (the craziness came later). The quiet, the beauty, the solemnity echoed what I had come to know in my heart. Later I ran into “Jesus Freaks” and lived for a time in a commune. But much of the emotionalism I encountered there seemed foreign to what I knew – indeed much of it was quite confusing if not itself a source of doubt. I returned to the Episcopal Church and attended seminary following college, being ordained to the diaconate and priesthood after graduation. I served for 18 years as an Episcopal priest. That inner knowledge remained at the very core of my heart, despite some very difficult times. I was introduced to the Orthodox Church when I was in college – particularly in the writings of Russian theology. More than anywhere else, I found there a precise echo and description of what I had encountered and continued to encounter within my heart. For a number of years I only “studied” Orthodoxy, not knowing that an Anglo like me could actually become Orthodox. I later was in the Doctoral program at Duke, where I read Orthodox theology pretty much exclusively. That same echo and confirmation became far more mature. By the time I left Duke, some part of me knew that becoming Orthodox was inevitable. It was not a matter of choosing a Church that I liked better than another, but my hunger to be more fully united with what I knew in my heart. In 1998, after becoming acquainted with Archbishop Dmitri of Dallas and the South, my family and I were received into the Church. What I found was a context in which the deepest knowledge of my heart and the world around me became one and the same. I have met men and women within the Orthodox Church who know the way of the heart – who know the path of prayer and fasting – and most importantly have the same living knowledge of the resurrected Christ. Some have seen Him with their eyes, others not – and yet have the same knowledge. I believe that indeed this is the foundation of faith. Faith is not an intellectual assent to a proposition which you “believe” because you have no proof. Faith is described by the Fathers of the Church as being like an “organ” (like a liver, kidney, heart, etc. ), a means by which we can see and know in a manner beyond what we normally see. Faith has been seriously distorted in many forms of Western Christianity where Christianity has been historicized and intellectualized. Christ certainly entered history, I have stood in his empty tomb. But knowledge of Him transcends history. He would be lost to us if we could only know him as an historical character. The Fathers teach that true knowledge of God is evidenced most perfectly by the love of enemies. If you do not love your enemies, you do not know God, or at least you know Him very imperfectly. Thus the way of mercy and forgiveness and the absolute essentials in the Christian life and the knowledge of the resurrected Christ. I must stress that when I speak of Him entering my heart I do not mean that I had a special feeling. It was and is a certain knowledge in the very deepest part of the self. Indeed, I don’t think I even knew that part of me existed until He entered it. There is much written about this, including by contemporary Orthodox men and women. It truly is the great treasure of the Church. I don’t shout it from the rooftops, though there have been over a million views of this blog – so the voice gets heard. But if all I ever wrote was about what has happened in my heart it would be a story that stands alone. I believe the truth of what I know has to be made manifest in the life I live. Do I show mercy? Do I love my enemies? Do I act in a manner that reveals to the world what is hidden in my heart? I know that I am a great sinner and so I tremble when I ask myself such questions. There is generally an Orthodox rule not to speak about the inner life (what you have seen and experienced). It is a very intimate thing to be discussed with a confessor and spiritual father. I have broken that rule because I was asked and I could think of no other way to say why I believe. Please forgive me. I am a very poor witness of the glory that I know. An afterthought occurred to me. In my years of experience, I have found people’s backgrounds in Christian Churches to be as often a stumbling block to faith as a source of faith. True faith being the knowledge of God – many people experience formal religion as an innoculation against the truth. I have not experienced this as an Orthodox Christian, despite my own sins and that of everyone else around me. Christ is among us and the Church’s Liturgy and sacraments nurture and feed my knowledge of God. But you still have to guard your heart against delusion. It is part of the discipline of having a spiritual father and making frequent confession. It helps to guard against delusion. Orthodoxy holds the truth and reality of the knowledge of the Risen Lord so strongly that it considers delusion to be perhaps the most serious spiritual sin and the most common. It is not a gullible faith, but a very serious way of life in which union with the Resurrected Christ is the center of all life. Would you be so kind father if it is possible to explain to me why you think it is at the age of 15 that you were chosen by God to reveal that certain knowledge of himself to you. You said that you were not in a particularly religious mood, you were just a 15 year old kid out playing in the woods. Do you have any idea whatsoever why. Did you ever feel before that time that there was something special about yourself or were you particularly spiritual at that age? Do you have any idea? I mean, I don’t quite understand, why would God give certain people such a gift for no apparent reason, while leaving the rest of us to suffer and struggle in search of it? It does not seem just to me. For some reason God has given you great advantage in life and in attaining an afterlife than most all the rest of us. Are you able father to give me some sort of reason for what seems to me to be very unjust. Same for me Father I am a little bityounger then you age 27 and it happened to me at 16. I was neither in church or reading the Bible it just sort of happened. There was always a part of me growing up that I went through a lot and I thought something had to be greater then just the day to day experiences. Eventually I was a devout catholic fell away for a few years due to a misunderstanding of a external form of grace till I found Orthodoxy.Being roman catholic I always felt that I was being put into a box on what to experience. I explored the Protestant viewpont but it all seemed so subjective to me. I read the Mystical Theology of the Eastern church and I was like nice everything I loved about being roman catholic and yet a purer form of it! Amazing how God works Being Orthodox for the past 4 years has been hard I am the only one and they always my family are trying to convert me back, but knowing about God the way I do now is what I pray may open others people’s lives to God energies. I actually started to write something yesterday but then refrained because I don’t know if I really will address your concerns. But again I feel compelled to write, mainly to address an idea you have expressed twice now. Just know that these are just one Orthodox Christian’s opinions and perhaps another will wish to add precision to anything I say. It’s important to look at things from this perspective of a God who loves and has compassion on his creatures and to move away from the perspective of a God who perhaps ridicules or scorns those who don’t “get it.” If God simply writes off those who lack proper understanding as fools who didn’t use their brain enough, then it will be a very small group indeed who finds salvation in the end — and most of us might as well give up now. But if God is merciful and if he welcomes the humble penitent and the earnest seeker (which is how the Bible describes God and how the Orthodox Church has always proclaimed him), then we can have hope that imperfect knowledge (as the world conceives knowledge) is not an impediment to salvation. What I’m getting at is that God’s grace, the grace that stirs the heart of teenagers playing in the woods or atheists teaching at Oxford (C.S. Lewis) or anyone else at any other time and place, this grace is everywhere active. It is indeed the energies and providence and pull of a God who is everywhere present and fills all things, as our prayer says. And the church teaches that this grace is the natural sustenance of the human being and of all creation, it is what each person naturally longs for and it is life itself. It is what sustains us during the time that we are given, what preserves us after our earthly life ends and what will raise us up again to the presence of the risen Christ on the last day. All will be raised and all will stand before Christ in his glory, and each will be judged rightly according to what he or she has done. Normally, when people hear they’ll be judged, they think it means they will be condemned, but it doesn’t only mean that. It means the truth of each one of us will be revealed and we will be shown for what we are. This is truly dreadful, but there is reason to hope for those people who desired God, the true sustainer of their being, but for some reason were unable to know all the truth about him or were never raised to know the Bible. By this I do not mean to advocate some kind of universalism or to suggest that Christ is not the way, the truth and the life. Most certainly, those people who have encountered him and known that it was him will have to stand before him and give an answer for how they reacted to that encounter, but I don’t think they’ll be answering for how perfectly they used their reasoning powers to figure out the all the truth or to have analyzed every religious system that exists in order to make the most informed and logical decision about which to believe. No, I believe that Christ reveals to us a God who bestows his mercies everywhere and looks at how each responds to the mercies they receive. I hope I’ve made a little sense here and provided some small food for thought. Perhaps it runs counter to what you thought Christianity was all about. I definitely am not trying to say that whatever works for you is equal to whatever works for me. I’m trying to say that God loves human beings and desires that all come to salvation. This being the case, it is not a matter of him placing some of us in impossible situations as if we were lab rats in a maze with no outlet. He draws all men and women to himself, but obviously, many men and women know very little about the God described in the Bible. Somehow, we must trust that God deals with them mercifully according to their situation. But if we don’t trust in such a God as revealed in Christ, and if instead we only can acknowledge a God who only wants the brilliant minds and the fortuitously born, then most of us are off the list. Others, I welcome any corrections that my expressions here might require. I do not think it has anything to do with justice. That issue is a false, western problem. I don’t think it gives me an edge on heaven. We are all already in paradiise if we only knew to quote Dostoevsky. There are parts of my story that feel too intimate to share. I simply say that it saved my life. I’ll also say that it carries own suffering as well. You cannot know God who suffers for us without knowing something of His suffering as well. I believe that what happened to me will happen to all just as the sun shines on every man. The timing and our response I simply do not understand. But believe me, I am no better or “special” than anyone else – probably worse in light of all that’s been given me. I have lived my life as a priest. It’s hard to say more. But back to justice. St. Isaac said that we know nothing of God’s justice, only His mercy. I cannot even guess why He showed me mercy at that time. Perhaps, I believe He is always showing mercy to us all. Some see and know it for reasons I cannot know. But the mercy is the same and is given to all. Forgive me. My wife says that God showed me mercy when He did because it was necessary then (she knows me well). But His mercy is for all and such knowledge of the Resurrected Christ is for all. This is the Orthodox faith. You live in a culture where these things have been greatly neglected or distorted, and thus not easy to even hear about. And yet here you are. God is showing mercy and we are having this conversation. Among the most perfect prayers is “Lord, Jesus Christ, Son of God, have mercy on me.” We say this thousands of times a day. I cannot predict God’s actions, only that He is merciful to all. I have a friend who was not a believer who simply sat in my Church, quietly. In time she looked at the icon of Christ on the iconostasis (in the front of the Church) and simply asked, “Why don’t I know you?” And then she did know Him (end of details). I know many such stories. Generally these things have much to do with the state of the heart. When I was 15, though I would not have described myself as in a “religious” mood that day – it is certainly the case that my heart was open. There was much in my life prior to that in which the larger question “Is there any reason for existence?” was a very real question for me. Thus it is quite possible my heart was ready for something even though I didn’t know it existed. God is merciful. May His mercy fill your heart with all good things. Again. Forgive me and my poor witness to such things. Annihilist, sorry to delete your comment. I felt it interrupted the conversation and that it’s treatment of justice one which is not part of Orthodox teaching. I apologize. And meant no offense. On the matter of justice read this. Jim, I can appreciate your struggle. It is similar to many who have grown up in our culture that denies the existence of a living God who actual does care about us and love us all the same. God draws each of us to Himself in the way we will be drawn. Therefore each story, while having the same ending–knowledge of Christ, has different specifics. I know many fellow Orthodox who have the knowledge of Christ of which Fr. 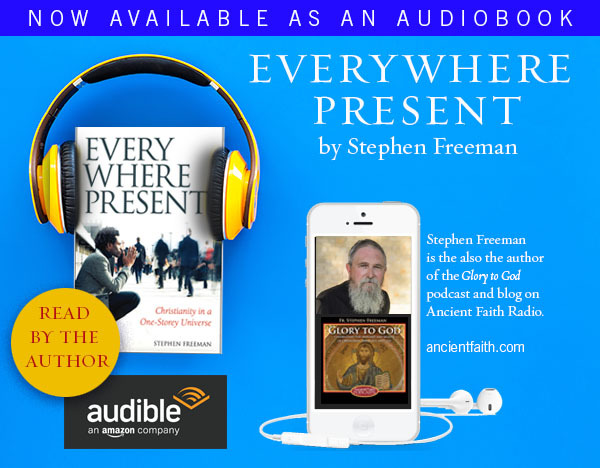 Stephen speaks, that communion is after all the reason the Church exists, it is why we exist. Fr. Stephen is correct to point out that such knowledge only requires us to respond to others with the same mercy and compassion which we have received. As the unjust steward in the Bible, if we do not, our suffering will be great. I could point to a thousand reasons why I asked to enter the Church. All of them would be true to a point, but they all have their source in the fact that I saw and experienced Jesus in a more complete and powerful way than I ever had before. Jesus is in the Orthodox Church, He is in all (to a greater or lesser degree) who partake of her sacraments. I am one of the weak ones so please forgive my arrogance. As Fr. Stephen said, here you are, we are having this conversation. That is no accident. I am both made miserable and hopeful that the reason I have no had such a revelation is that our Lord in His wisdom knows it would do me more harm than good. It is both a wonderful and distressing thought. You know more than you know you know.Slowly learning the place of the heart it will become clearer and clearer. You’re in the right place. Never envy another man’s experience. Not that you are. I remind myself that St. Siloan spent 15 years in he’ll as he prayed before he heard a word from the Lord. And this was after seeing the risen Lord with his bodily eyes. You never know the suffering that comes with the gifts God gives another. I’ll take the small revelation I have in Christ and seek to grow in it. Remember it was a gift and never earned. Well father you have me once again it seems,lost in all of this illusion, this certain knowledge of the risen christ that somehow enters the deepest part of you,but then you say that you are a poor witness to what happened to you yourself and therefore cannot explain it further. Is everything in religion or of God hidden from all of us except from those who claim to know it to be so. I am sorry but it still seems to me a bit like a magic trick only those of us out in the audience don’t get to see the rabbit come out of the hat. You say a certain kind of knowledge entered you,not the usual run of the mill knowledge, but something different. Well excuse me father,but that does seem to me to be what you deny it to be; A special feeling. For if it were a kind of knowledge, a knowledge of the risen christ, made manifest in you then I would think that said knowledge would be known to you: ergo you should be a better witness to it. I would not deny you the emotion that can come over one at any particular time, as I believe that that is only human. We have all experienced that at one time or another in our lives I believe, particularly as children, but also and probably less often as adults : A beautiful summer day say, playing in the woods,the fresh morning smell of the soil and grass beneath your feet, the oder of trees in full bloom, a beautiful blue sky with big puffy white clouds drifting by that amazing red ball in the sky that sends down it’s heavenly ray’s of warmth. I have certainly felt as though I was in heaven at such times as this, as I say i am sure we all have. But this is a feeling, a wonderful feeling,but it is not a knowledge. One may even equate these experiences with their ideas of God and of heaven. But we can not I do not believe equate them with a certain knowledge.I am not saying that this is what happened to you but I do know that this sometimes happens to people even more so if they are particularly zealous for God. Knowledge is of the mind and so being, one should be able to express it as such just as feelings are experienced in the heart. So I truly hope that I do not offend you but it seems to me that you are being either disingeniuos to me or and I think more likely you did fool yourself. To know,it seems to me is to understand what one knows and to understand what one knows is to be able to explain what one knows. I hope that you can all forgive me if I seem arrogant also. It’s too small an understanding of knowledge that you describe. But epistemology is a difficult matter. I cannot convince by means of explanation, because, like the Bible, it wasn’t given in order to convince. However, I might note that if the choice is between rational knowledge and emotion that no decent epistemologist would be so limiting. In this particular case we are speaking about knowledge of the Resurrected Lord, which is inherently transcendant of reason and emotion. Knowledge of Him would be therefore inherently different. But you set the rules of what you believe. Only don’t complain of justice if the universe does not conform to the rules of a modern American man. Life goes on. I pray God’s mercy continue with you. You’ve been a patient man. I’d invite you to consider your knowledge of your friends, your family or of your significant other. You can no doubt describe these people with relative accuracy, but all the same, you would probably admit that your descriptions cannot truly do these people justice in all that they are and all that they mean to you. Yet at the same time, I suspect you would also not reduce your relationship with them simply to the level of feelings. Your knowledge of people and your encounters with them are neither conceptual or emotional, though of course concepts and emotions have their place in trying to make sense of them. How much more true is this of God. God, being beyond everything in creation, cannot be grasped with the same sort of knowledge that you might grasp chemical reactions or whatnot. And if emotions were all that an encounter with God amounted to, then knowledge of God is beyond fickle. Indeed, some saints spent much of their lives living anything but an emotional high, yet they could claim the joy of the Lord in their sorrows. But God who is beyond knowledge can be known, and the closest comparison I know to make is that of your relationships with people you love. I think you’d be lying if you said you had those people entirely under your microscope (I doubt you would say that anyway). So there is a way of knowing that is not simply logical sequences and not simply feelings. Also, when Orthodox Christians speak of “mind” and “heart,” they are not simply talking about easily expressible things and emotions. Once again, I’m adding too many words, but with Fr. Stephen, I would encourage you to expand your understanding of what knowledge is. I don’t know if this adds anything to the conversation but I thought that it should be noted that some scientists have even admitted to the fact of tacit knowledge which goes beyond the categories of what we can rationally explain. There is a certain risk with relying on this type of knowledge but then again some of the greatest discoveries known to man have been made using this method. Most of us can ride a bike but would not be adequate to explain the science behind this, never the less we would all be a witness to a certain amount of knowledge regarding the experience. Many can learn to craft a violin but only a few have the tacit knowledge and discernment to perfect the art. There are many forms of knowledge that have no rational explanation, so how much more would knowledge of the living God be a mystery to us. next… and maybe this is more controversial (or not)… the church is referred to as the Body of Christ on earth or the Bride of Christ (but the two become one…) If this is not completely heretical is it not then appropriate to get to know the Church with all of our senses and then say here is my physical evidence of God – or maybe even here is Christ. This is not the same as saying here is the body of a man that lived on earth two thousand years ago which one would likely quickly dismiss. Is it okay to say I know the Church therefore I know God or is it too dangerous in that God is so much more than the Church. wanting to truly know God is what has led me through the last 15 years trhough classical protestantism through the evangelical waters and finally stumbling home to Orthodoxy. I realize I have much to learn and do not want to settle on less than the true Beauty of God that is avaliable to me. at the end of the day, all I can say is Lord have mercy. I do not think that your earlier question was misunderstood at all, you merely wished that the father could elaborate on his assertion that he knows the resurrected Christ, and he did give his response. It seems though that you are in a bit of a struggle there yourself. Unfortunately I am certainly no wiser than you in this regard, for I do not know God either. But do not despair my friend for If there be a God I am sure that it will suffice that he know you. As you work through this confusion make sure to use though senses of yours, be sure that you see, that you hear and most of all be sure that you understand and you may sense a little resurrection in yourself. there was a misunderstanding by you at least it appears for I feel quite willing to say that I know God. Not completely or in his fullness but I cannot say I know anything in that way including myself for I continuously learn more about myself as well. It has become obvious to me that we mortals are not capable of knowing at this level (or maybe I should speak for myself — I am unable at this time to know anything competely) but from what I have been given and have experienced both with the senses but moreso beyond them I have a true relationship with my Saviour – one that started as a protestant and has matured towards an Orthodox experience. I have more confidence in my incomplete knowledge of God than my “more complete” earthly knowledge of anything else. And this is not a blind faith (by which I mean unsubstantiated) for it has been proven time and time again that He is trustworthy and beautiful and I am not. The “Truth” is that based on how my earthly mind wants to be certain of things – I can be certain of nothing but to let myself be stubornly stuck there when everything points to a greater understanding would be arrogant and foolish while robbing myself of everything of value in life. So do I know God I say yes but I want to ensure I don’t limit him to my capacity to comprehend. I need not understand but it can be helpful. I hope that is somewhat clearer. It occurs to me that we all know God, but we are not aware of the knowledge. The Church has many means at her disposal to improve our awareness. It’s clear (St Nikolai has shown me) that one knows God by contemplating a lake, if one does it the right way. My priest says that his blessing doesn’t “impart” holiness (like some sort of magic spell) but rather “affirms” holiness (like when we sign a letter we affirm that the words of the letter are true). I think the problem here is that without the Church we are largely confused by our experiences unable to interpret the meaning and purpose of them. They are a pile of facts. Our senses obsess over facts and data, but I can tell you as an technology professional a big pile of data is worse than useless. You need a database or document or other structure to relate the data in a meaningful way. Think of the difference between a big list of names, and a family tree. The family tree is a wealth of meaningful information, the list of names is not much better than random letters scrawled on the page. It seems the Church provides this structure. The liturgical year, fasting rules, daily prayer rules, icons, theology, the gifts of the Spirit, the community life itself, all help to pull the data together to reveal knowledge. I do not like magical thinking. Part of my inclination to come to Orthodoxy was it’s sober insistence on reality and the rejection of delusions and figments of imaginations. The last few comments raise the question as to what precisely is meant by “knowledge”. How does the Church define this? One thing is certain: we are warned in no uncertain terms against the dangers of speculation, private gnosis and delusion. David, thank you. You clarify things here beautifully, I think. I like your analogies–very apt. St. Paul’s words seem to support what David says, but I would take it one step further. In addition to the structure, etc, the very Person of Christ Himself is present. and so then you would say that if I want to get to know Christ I ought to get to know the Church or maybe even if I know the Church I know Christ. I am not trying to play word games here. It is a concept I have put a fair bit of thought into and I am comfortable with the first statement but uncomfortable with the second. yet i remain uncomfortable with my uncomfortableness if that makes any sense. I think the question gets to the issue of what is the Church? The protestants minimize it in my opinion but how far it should go I do not yet know or fully understand. Yes I agree the question “what is the Church?” is important, but equally what is meant by “knowledge” or “knowing”. For to answer these questions one gets to the heart of the matter. And by which process, or how, will we arrive to these answers? I’m certainly saying that one aspect of the life of the Church (I don’t want to reduce the life of the Church to merely this, but say it is one part of it) is that you should come to know Christ. I think you might be suffering from too a small “c” Church. I certainly did. The Church is catholic. This isn’t so much a matter of having no relationship with the Church and then having one, but rather having a poor relationship and then having a better one. I think I think too small when it comes to God and the Church. So I try to force bigger words out of my mouth when talking about it to try to compensate for my inadequate vision. Unless carefully qualified the statement “You already know him, but you aren’t aware of it” would seem to stray from the straight and narrow path. For in what sense can one say to “already know” Christ? We are affirming Fr. Stephen’s dictum that approaching 100 comments the conversation becomes less than useful. The fact that the path is straight and narrow does not lessen Christ’s presence everywhere. I don’t see the two in conflict. The Heavens declare the glory of God. Yes, a pagan may not be aware that they know of Christ from the Heavens but they do know Him. If I say they do not know Him then I am in the greater danger of limiting Christ’s presence. Like the Ethiopian who had all the scriptures at hand (facts), but could not understand them until the Apostle Phillip enlightened him, so were we all before we came to the Church. My apologies if my lack of usefulness offends. I don’t spend a great deal of time considering the usefulness of things. Robert, I’m getting in very late in this conversation – in many ways. I would cite St. John’s statement, “He was the Light that was enlightening every man who was coming into the world.” (In the 1st chapter). Thus, in some sense I would certainly agree with David. We know Him, though not as we should, as we can, or as we shall. Were we born in complete darkness (sort of like total depravity) I don’t think we would have any instinct for truth, for goodness, for so many of the things that are clearly elements of grace within every person. “In some sense” we are in agreement. 😀 Seriously, we are in complete agreement, but it appears we are suffering at the moment from a lack of defining our terms – which definition for the sake of clarification and understanding I have been pressing. (The title of this your post “Is the Bible True?” demonstrates the astute need for defining terms, as I am sure you will agree). Without such clarification, the conversation devolves into meaningless drivel marked by confusion, or perhaps worse, outright heterodoxy. Hardly a case for universal salvation can be made from the passage you cite; and I am sure you do not mean to make such a case. Neither am I advocating total depravity. So then, I press participants to define their terms. I just like to share my limited experience of knowing Christ and I hope and pray that it is helpful to seekers of the Truth that is Jesus Christ. On how can we be sure that we know Christ? Please read the whole chapter of the First Epistle of John Chapter 2.
instructions later. The same is true with my experience in knowing Christ. I’m beginning to see the light. The experience of how we come to know Christ will be different for each person but the experience of having or knowing Christ in our daily lives will be the same. Despite my slightly over-confident tone in my last few posts there is a gap in my thinking on this and a sort of itch at the back of my mind that I should speak with more humility. I think part of the problem is that by being a little vague I hope to avoid saying something necessarily heterodox. You ask what is “knowledge” or “knowing”. While it is fair to ask, I have no answer for you except to admit my weakness. I am also convinced that Father Stephen (and the Church tradition that he relates) is correct in saying that without a guide, a framework, an Apostolic teaching preserved within the Church, even the scriptures themselves are easily twisted into falsehood. It seems a very little point to extend that reasoning to all of Creation. All the knowable facts are there. However, they are easily jumbled into meaninglessness without the guidance of the Church. So you “know” things but do not “aware” of that “knowledge”. You have “facts” but no “wisdom”. Certainly there are additional “facts” or “experiences” exclusively within the Church (the Eucharist, for example) but in general I’m not looking for “facts” from the Church, but rather interpretations of facts. This is my feeble attempt. When the Church says I have “experienced” the Body and Blood of Christ in the Eucharist but my toes didn’t tingle or some-such I allow the Church to define the meaning of the “experience” for me. So the Bible is True, but it is just a “pile of facts” easily misleading you until the Church assembles the Truth of it’s meaning from it. Perhaps I am speaking in circles here, in which case your charge of the lack of usefulness might be more fair than I had first believed. Knowledge of God comes not by our own understanding, but from above. The circumstances within which such knowledge is received or recognized differs from person to person. There is no formula. I can only testify to that which I know. When one enters the doors of an Orthodox Church to worship (despite our many short-comings), one enters the Kingdom of Heaven. The more often someone enters with an open heart and mind, the more aware one becomes of the Kingdom and its intersection with our world. The way of Christ is the way of the Cross. As Father Stephen points out in “Our Common Life” that extends to all who seek union with Him. The way of the world is opposite to the way of Christ. We are trained to just accept uncritically anything that the world offers to us for our pleasure and fulfillment while at the same time demanding iron-clad proof of God’s mercy and forgiveness in Jesus Christ and His Church before we respond. Your comment got stuck in the spam filter, so it was delayed in being posted. Sorry. Zoe, I am so grateful for your point about doing the instructions and not just reading them for understanding. That is much better than my attempts to explain it. One of the problems with words like “reasonable” is that they can’t be consistently applied. If you think we are full of contradiction and sloppy thinking, you’ll have to come to grips with the paradoxes that develop when you recognize the millions of people you might initially consider not only reasonable, but brilliant, until you find out they also believe the Bible to be True. You define what is reasonable, by what you already assume. If people smarter than you or I can disagree on what is reasonable and what is not and there are plenty a portion of both on either side of the question, then is “reasonableness” (in the manner you mean) a meaningful measure of Truth? I gave up your line of thinking in my own life, precisely because there were too many people, too much smarter than me who could not agree on what Truth was. How was I ever to know it? That’s the question that brought me to my knees in the Narthex of St Herman Orthodox Church in Oxnard, CA. communication or understanding is impossible. You are talking, so to speak, in a different language than the rest of us. Count me as one more ignorant person and forgive me for my ignorance. Lord have mercy on us all. The discussion has gone full circle many times now. I am turning off comments on this article. I pray God’s blessing on all and that other articles will do what this article may or may not have done.